4. Comment "Done" with hashtags: #VitaPack #VitaVanity and tag 4 of your friends. 5. Keep checking this page for the announcement of winners. You can also share this post. More shares, more chances of winning. 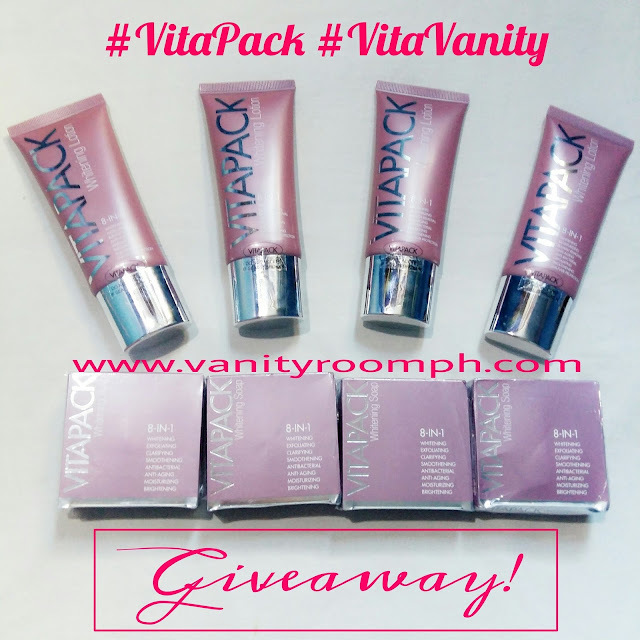 4 lucky winners will receive a pair of VitaPack 8-in-1 Whitening Lotion & Soap worth P700. PS: make sure to follow all the instructions because we will validate every entry.